ComeSeeOrlando.com: A Burst of Magic is Back at the Magic Kingdom! 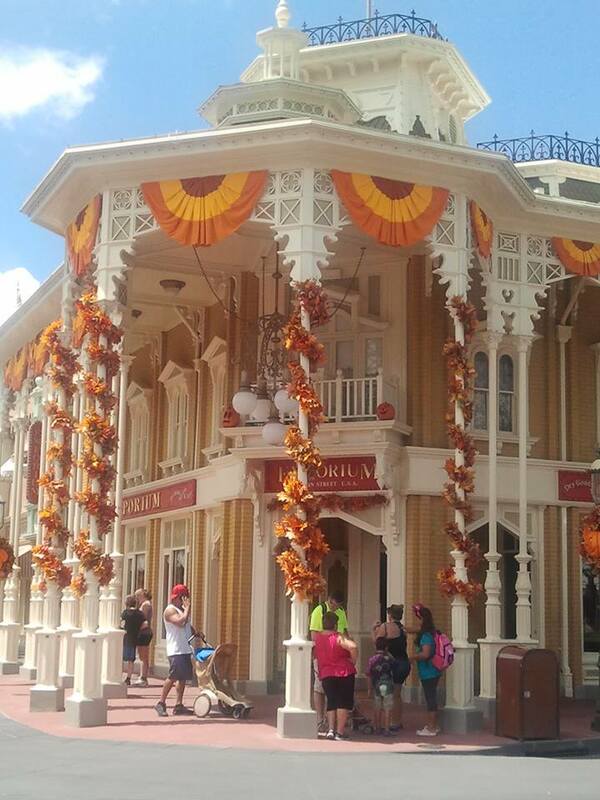 A Burst of Magic is Back at the Magic Kingdom! Magic Kingdom - the original symbol of Walt Disney's Florida dream, since 1971. It was the very first Disney park I set foot in - in 1988, at the age of 12, and I remember it vividly. No surprise there though - Doesn't everyone remember the first time they walk onto Main Street? It makes anyone believe that magic is real, and in their face. I will admit that some of that magic is simply no longer there for me. Something about the crowds, chaos, heat and general decline that is so often present at the Magic Kingdom (MK) anymore just puts me in a sour mood more often than not. 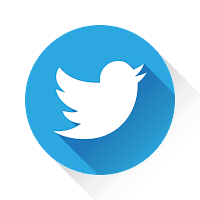 However... I am an annual passholder, and my family loves MK, so inevitably I end up there quite often. It seems that by the end of summer, I am so disgruntled with MK that I become a bear before I even charge my way through the Main Street mess. It's right around this time that the break I tend to forget about presents itself in the form of September. Once school is back in session, the crowds thin dramatically - at least for a bit. Shortly after, the heat breaks just enough to give you better odds than the sunstroke you were guaranteed a mere couple of weeks ago. 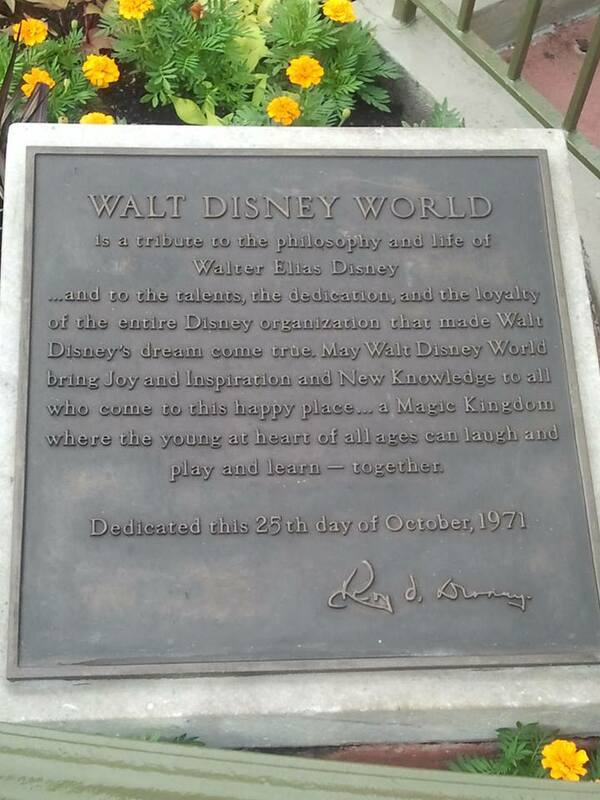 In short - September signals an opportunity to enjoy Disney again. 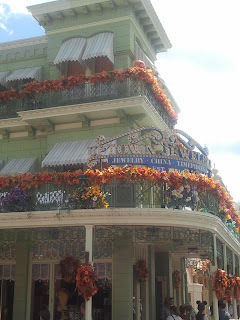 For about 5-6 weeks, the parks become fun again, and I do welcome that! Another cool highlight of September at the parks - Autumn decorations! One thing our family will not be appreciating this year? Mickey's Not So Scary Halloween Party! 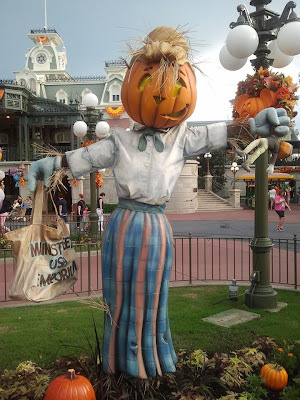 We did MNSSHP two years ago, for the first time, and I still would love to demand my money back. I wouldn't feel so negatively about it if an additional ticket/fee weren't required, and I wouldn't mind the fee if the event admission capacity was lower. Good points: great, unusual characters on hand, killer fireworks display and phenomenal parade. Drawbacks: too crowded to actually see the parade, and frankly it stinks to stand in like for 45 minutes for a Tootsie Roll! 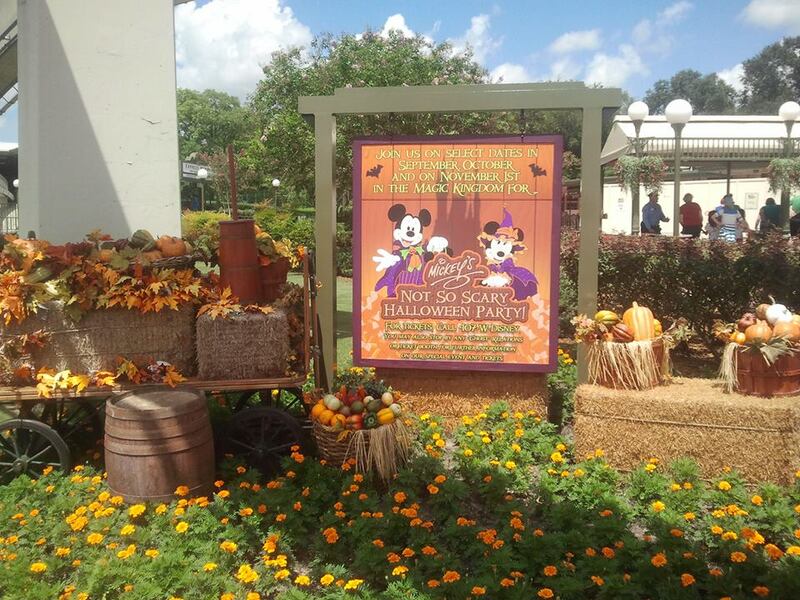 MNSSHP = epic fail. Won't risk my money there again! 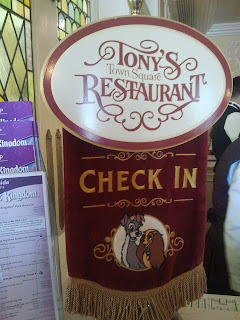 We tried out a new dining experience on this visit - lunch at Tony's Town Square! This Lady and the Tramp themed restaurant features reasonably priced Italian cuisine in a comfortable environment. 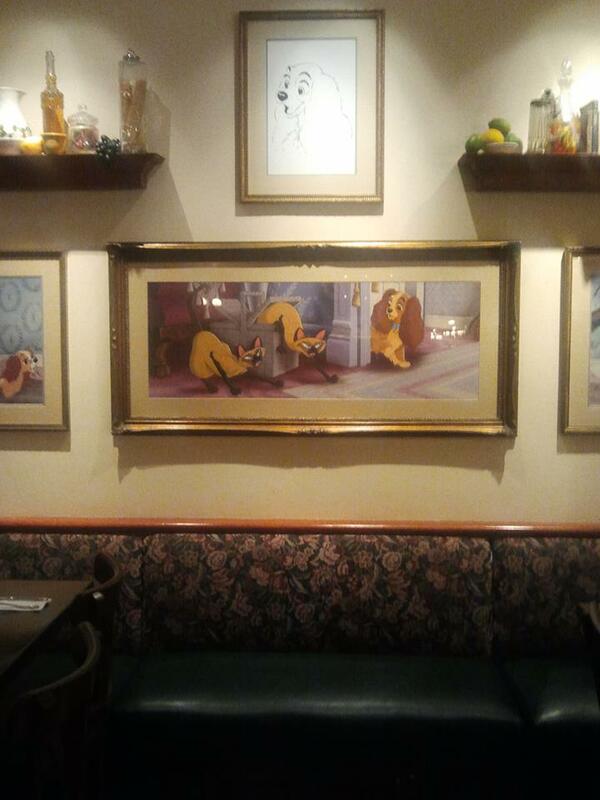 Unlike many Disney restaurants, this one has not yet transformed to the 'table-on-top-of-table' style set up, so your party still has room to enjoy your meal and company. My son Tony ordered the pizza, and it looked amazing! He enthusiastically approved, and that says a lot! My daughter Sierra enjoyed her selection - spaghetti with MASSIVE meatballs. My husband Gino tried the original meatball sliders, which were a hit. And I loved my eggplant parmigiana, though it could have used more cheese. 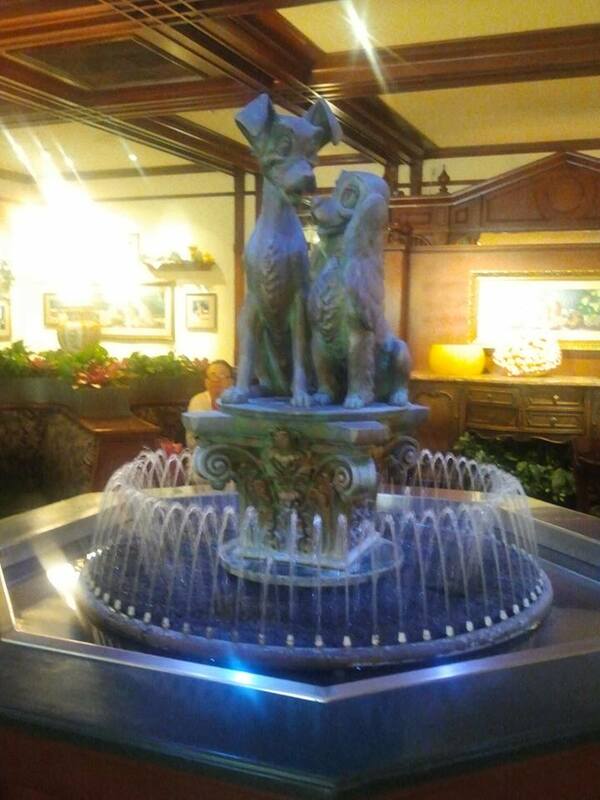 The restaurant itself was lovely, with Lady and the Tramp wall art and a central fountain. 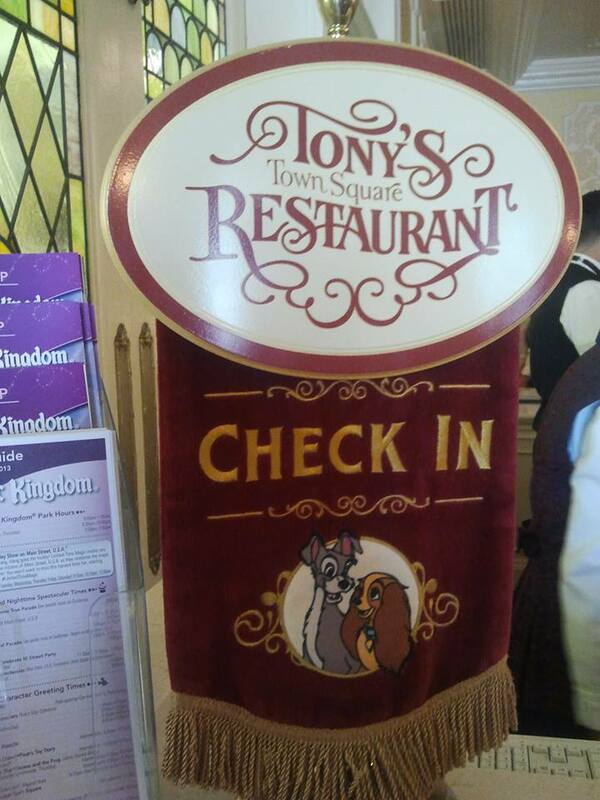 Loved the fact that there were tablecloths - nice - but cloth napkins would have been appropriate. Overall - thumbs up! 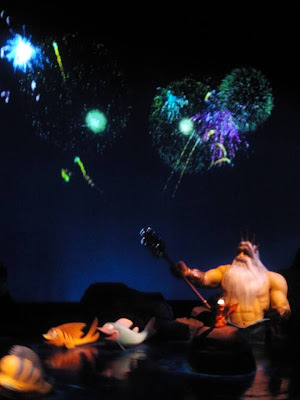 Thanks to Fastpass, we finally made our way to the new Little Mermaid ride. Till now, it's always had such a long wait, and we generally tend to wait for the new to wear off so that we can avoid that pandemonium. I'm a fan of the movie (of course), and the attraction does do it justice! The vehicles are essentially the same as those at the Living Seas' Nemo attraction - a clamshell. The ride track has points that trigger swivels in the vehicle, as well as a small backward-reclined stretch like that of the Haunted Mansion. 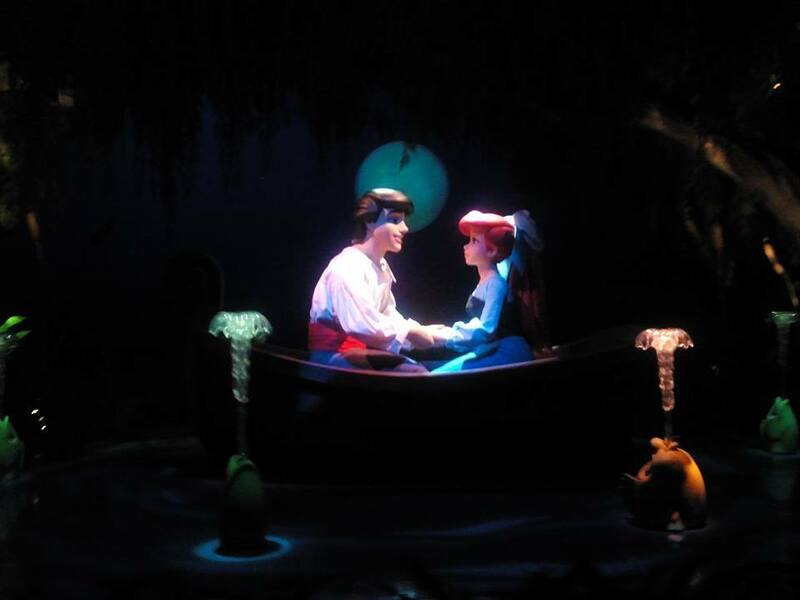 The attraction's displays and animatronics are akin to the rest of the Fantasyland fairy tale attractions. 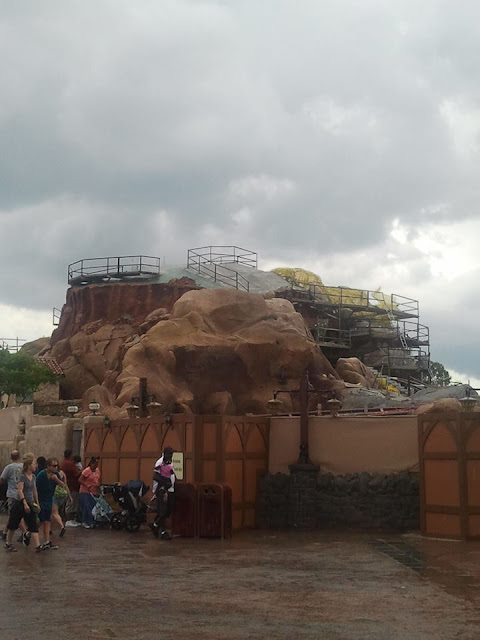 Nice job, Imagineers! Don't miss this attraction, but go via Fastpass until the excitement dies down. While passing through Fantasyland, I did the obligatory check on progress at the new Seven Dwarfs Mine coaster. It's really shaping up to look beyond enticing!! Can't wait for this one! Wouldn't it beat all if they managed to wrangle up the dwarfs from "Once Upon A Time" for the opening? :) Wishful thinking! 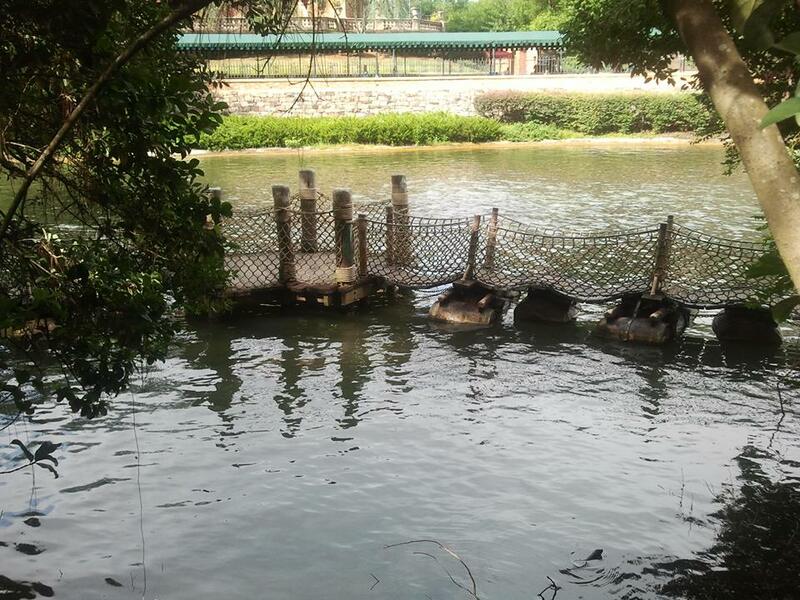 An often overlooked attraction at MK is Tom Sawyer's Island. True, it doesn't hold the thrills of the 'mountain trifecta' coasters of the park, but it does offer a unique array of fun opportunities and a break from the theme park bustle. My family loves the caves and the barrel bridge. I love the ability to regress a bit playing around the fort, and if you clamor for photo ops life I do, don't miss the shots of Thunder Mountain from the island! 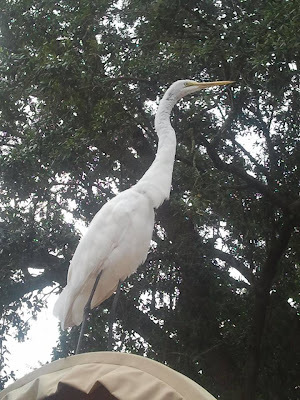 Speaking of unusual fun at Magic Kingdom... don't miss the numerous birds that grace Frontierland! 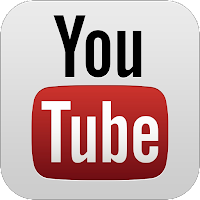 They are a riot to watch, and they seem to be totally accustomed to the presence of people en masse. They can be anywhere - walking the paths, seeking out pretzels and popcorn from guests, or even on top of the buildings and carts! I must confess, it was somewhat disturbing this time to watch a man hand-feeding bits of turkey leg to a crane. Isn't that a form of cannibalism?